INDUSTRY.co.id - Semarang - Limited Company Phapros Tbk recorded sales during 2017 reached Rp1, 002 trillion, up 23 percent from the data in the previous year amounting to Rp816 billion. Increased work, said Emmy, Barokah familiar greeting, Phapros achieved both the sales and profit, mainly from the segmentation OGB (generic drug logo) that contribute greatly. He acknowledged that Phapros's largest sales contribution came from the OGB segment with generic drug sales contribution in 2017 reaching Rp521.6 billion or 52 percent of total sales. "In terms of profit, Phapros recorded a growth of Rp125 billion in 2017 or an increase of 44 percent from the data in the previous year," she said. 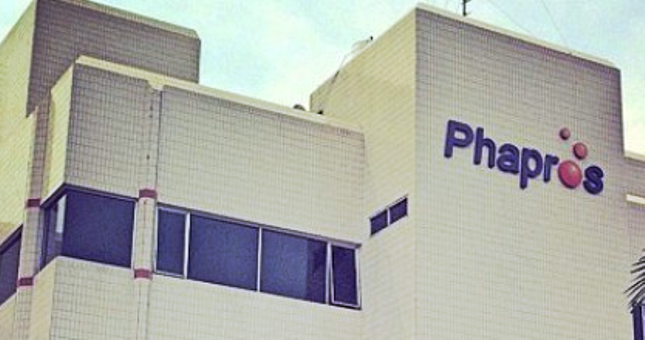 Based on the company's Pharmaceutical Association (GP) Pharmaceuticals, he said, Phapros's performance growth is well above the national pharmaceutical industry's average growth in 2017 which is minus 2 percent. To continue to improve performance, she said, Phapros has prepared various strategic plans, including issuing "rights issue" worth Rp500 billion for business development. "One of them is for the acquisition of pharmaceutical companies, then adding capacity through machine investments, fulfilling the requirements of Current Good Manufacturing Practices (CGMP), and working capital," she said. Not only in terms of performance, Emmy added that Phapros also targets Proper Gold for the environment by continuing to make energy efficiency for sustainable development. Meanwhile, Finance Director of Phapros Heru Marsono confirmed that he plans to acquire pharmaceutical companies for business development along with performance improvement. "The company's acquisition plan is also engaged in pharmaceutical, then the addition of existing capacity," she said without mentioning the name of the pharmaceutical company in question. At the Phapros AGM this year, it was agreed that the dividend distribution of Rp87.7 billion or 70 percent of the company's net profit will be given to Phapros holders.